In July 2019, get ready for MUSICAL MADNESS! This new program for students ages 6-12 will produce a full musical in just ONE WEEK! That’s right…all of the songs, dances, sets, costumes, props, and Shine fun that you’ve come to love all packed into one week of musical theatre madness! This year’s MUSICAL MADNESS show is Disney’s 101 Dalmatians! Rehearsals will be held at Shine and the Courtyard Theatre in Downtown Plano. Tuition is non-refundable and space is limited. 2. Next, stay on shine.pike13.com and select the “Plans and Passes” menu option to select one of the four payment plans. 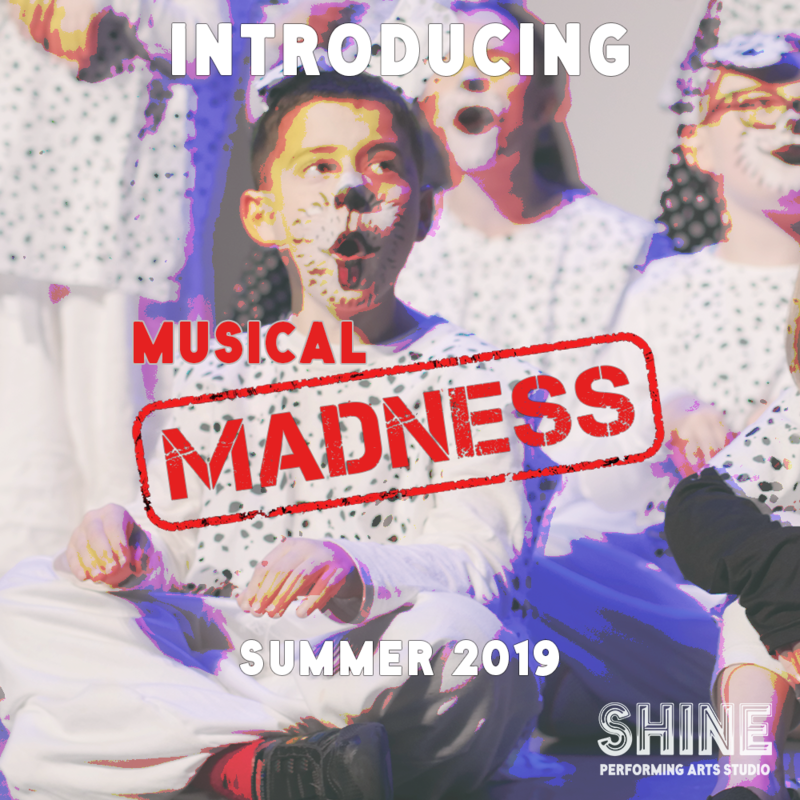 This show is different than other shows at Shine: anyone who registers for Musical Madness is guaranteed a role in the show and is not required to audition. Those who would like to be considered for a principal role will be asked to audition on Saturday, June 15. More information about auditions will be emailed to those who are registered in February. There will be a mandatory parent meeting on Sunday, July 7 from 2:00-3:00pm.